Keep up to date with all that’s going! Interested in being part of our team? Send us your resume & let us know how you can contribute to our team. Our 2019 RidePasses are now available! Choose from 4hr or 8hr rides & get more ride for less! Skill development to improve your trail experience! Want to build a solid foundation or gain confidence? No matter your ability, progress to the next level of riding! Looking for that extra edge for race season, or want to coach? Build a custom that fits your needs! We've got everything from city e-bikes & kids bikes, to pro-level mountain bikes! Experience the latest & greatest bikes on The Shore! Perfect for exploring the city & the North Shore's pathways with ease! We've got mountain bikes with 20", 24" & 26" wheels! Our hardtail mountain bikes have 27.5+ tires for excellent traction on all trails! We've got the full range of Rocky Mountain bikes to choose from! Maximize your experience & ride with a guide! Explore some of the world's best trails with a private guide! Explore the north shore & discover your new favourite trail with your own private guide! 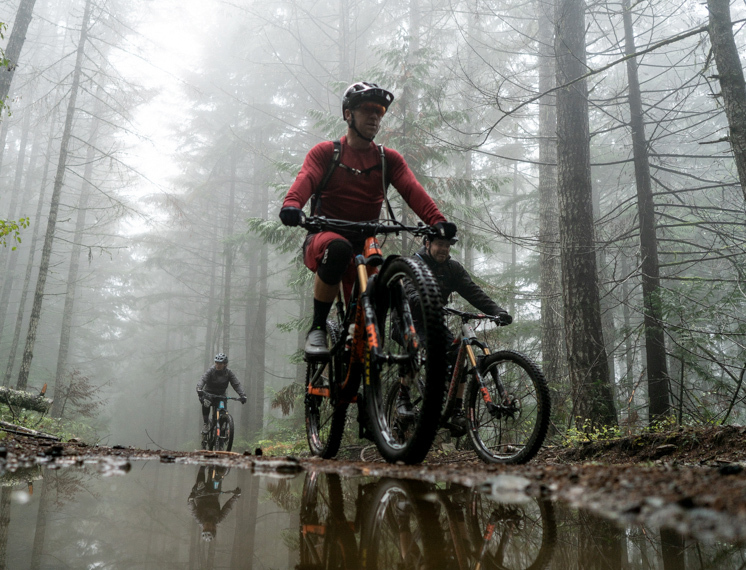 Experience all that North Shore mountain biking has to offer & explore with our guides. Got your own custom ride idea? Let's start a conversation & make it happen! 5th Annual EB Fiesta Fiver!! Check out the #goodtimesonbikes from the 5th edition of our annual EB Fiesta Fiver! Endless Biking heads to South America! Get the inside scoop on how our trails are doing after the recent snowfall! Coaches head to Whistler for their 2016 training! New EB SOMBRIO shop shirts! We're stoked to be representing and riding in Sombrio's kit!